Derivation of the title = I'm a dork. "Mine Are Real" are all words that can be made from the word "mineral" hehe. It also emphasizes the natural products I'm using today. I wanted to do a FOTD using my ELF Mineral goodies I ordered. After dealing with cakey oily liquid foundations all summer, I decided it's probably better to try pampering my skin with the good stuff for a while. Given, ELF may not be the best mineral makeup in the world, but it's all paraben-free and works just as well as the Everyday Minerals I've tried in the past. I will do a thorough review on these later with swatches. For the most part, I was afraid they would be too light after all summer. I was pleasantly surprised at how well it blended into my skintone. The only problem I noticed right away was the drying and flaking I got on the skin between my nose and cheeks. I'm sure once my skin stops trumping the Sahara Desert, it will be okay. It could also just be that I put on too many layers of boosters and concealer. These minerals made my skin feel so supple and soft and made my pores vanish. My skin feels awesome and like it's barely wearing makeup at all. No matter how much concealer I used though, the powder just wouldn't cover up dark acne scars, so I suggest using something heavier to conceal. 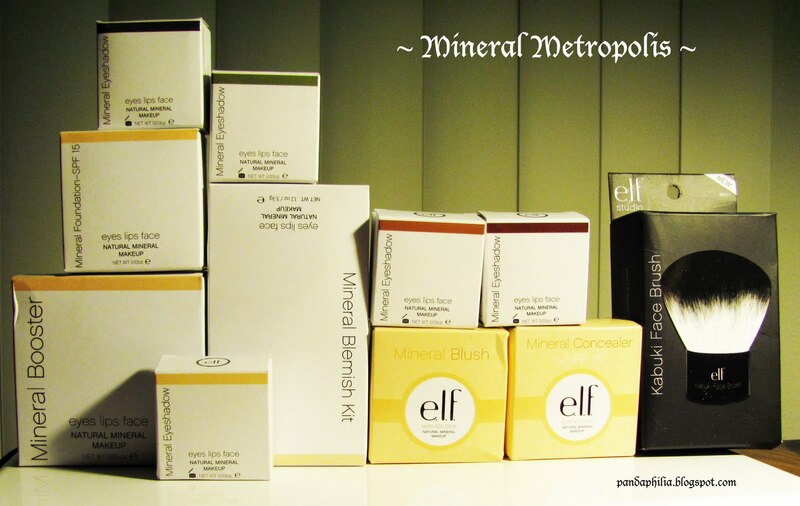 I just wanted to show the coverage power of these mineral products alone, so you will still see some of my blemishes. I skipped heavy eyeliner, mascara, and left my brows not filled-in for utmost au naturale. No matter, my skin looks quite nice in flash photos. However, in person, the powder coverage is quite light and won't really cover my dark blue veins or spots fully. I am so in love with these Mineral Eyeshadows! They are so pigmented with super fine shimmer and so blendable. They have matte ones available but I love me some bedazzlin' hahaha. I just applied a little bit and the colours already show amazingly. I'm sure with wet application these will turn out even prettier. Please refrain from using flash photography during the performance. It blinds the poor kids on the stage. Flash photography is to be used for camwhoring purposes only. (At least the first part was always put in the programs for orchestra concerts haha). Basically, all these photos are taken with flash. Excuse the bloodshot eyes and crappy eyeliner. Look at that shine power! I love the glow this mineral powder gives your skin. No highlighter, can you believe it? Last but not least, I give you ... Mineral Metropolis! 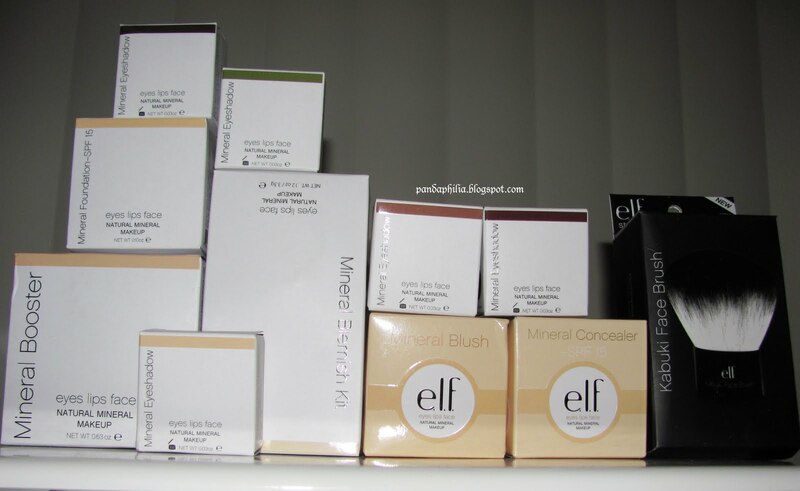 Hahaha I was bored and made a stack with all the packages of mineral makeup I hauled this time. Imposing, eh? All this for about $30 USD shipped. Not bad! It should last me a longggg time and improve my skin in the meantime. Stay beautiful, loves! I will review all these mineral products in more detail later. I can't wait to use the other shadows too. Zen blogging break is over, back to hitting those books! I know you guys are probably thinking "Man, she really doesn't care about getting a good score now" hahaha but blogging just helps me de-stress and keep chugging : ) Burnout is the most dangerous thing to experience right before a huge exam so I'm going to keep calm and keep learning! I want me some mineral makeup!! I'm thinking I'm gonna try this now. It looks so flawless and light! you look great au naturale, wish i could pull it off! that eyeshadow is gorgeous, love how shimmery it is! and your skin looks flawless-blemishes? what blemishes? good luck on your test, i'm sure you'll do great!! angie you look hot! i love the simple makeup & colors. did you do something different to your hair...or did i miss a post? it looks great. You should try Heidi Yi's mineral foundations, concealers & blushes. They have great pigmentation, however, it is a bit on the pricey side. But I blogged about it & did a review if you wanna check it out :D Also, Glad you like the lip gloss ;) It looks absolutely gorgeous on you! You definitely pulled it off like a true G! LOVED IT!! good luck with the mcat ^^. Gorgeous pictures btw ^^. Hehe, yes I love chapstick (my obsession) and I actually just wear Nivea chapstick. 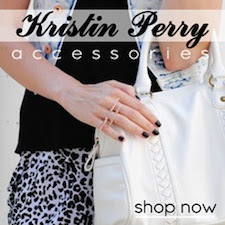 Not too expensive and good quality ^^. Awesome haul!!! Would love to see you try on those. Good luck to your exam, Angie! I've been using ELF's "Elegant" color mineral eyeshadow, I do like it a lot! and you look lovely. yeah I got those annoying dark scars from acne too, it's hard to find stuff that will actually conceal it! the minereal powder looks great on you! Im loving mineral powder too right now. the lip colour is very pretty you too. gd luck with your exam! Hello It is me again! Just wanted to let you know I have tagged you in my most recent post for a game. Come check it out if you are interested. I am going to place an order from ELF tonight since they are doing $2 shipping and get those eye shadows.. too pretty on you!